PRICE JUST REDUCED! SELLER MOTIVATED. ALL OFFERS WILL BE CONSIDERED. 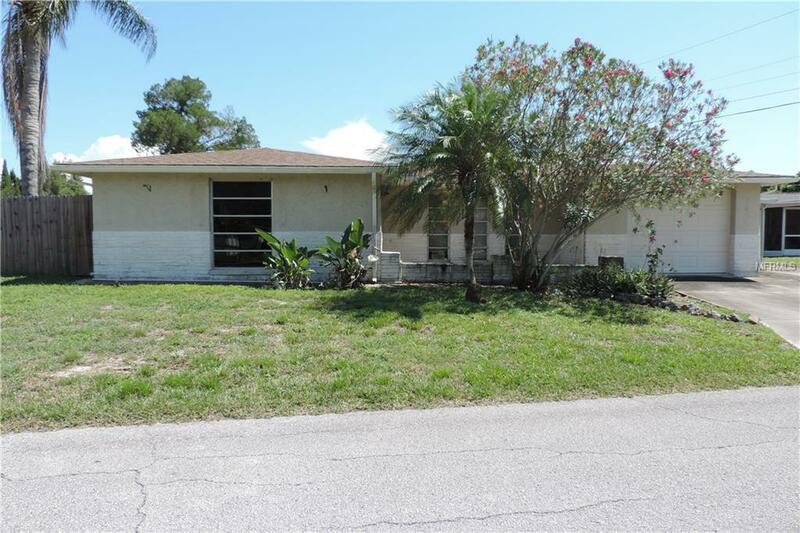 THIS GREAT 3 BEDROOM 2 BATH HOME IS MOVE IN READY. A LARGE LIVING ROOM LEADS TO A SEPARATE DINING AREA WITH BEAUTIFUL TILE FLOORING THAT CONTINUES IN TO THE SPACIOUS KITCHEN. THE KITCHEN HAS NEW WOOD CABINETS AND SOLID COUNTER TOPS WITH BEAUTIFUL TILE BACKING AND LOTS OF STORAGE. THE DOUBLE DOORS OFF THE DINING AREA LEAD TO A SCREENED IN LANAI AND A COMPLETELY FENCED YARD. THE HOUSE HAS AN INSIDE LAUNDRY ROOM AND AN OVER SIZED ONE CAR GARAGE WITH A NEW HURRICANE PROOF GARAGE DOOR. THIS ONE IS WAITING FOR YOU AND YOUR FAMILY!